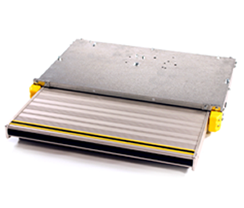 The Stayco Standard series of cassette steps incorporate proven features developed from many years of successful step design and manufacture by this Company. 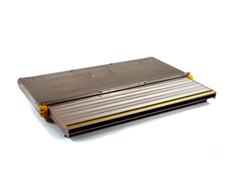 These robust, reliable and competitively priced steps have a 300mm deep platform containing our exclusive tread profile, incorporating a soft rubber insert to the leading edge and a high grip yellow and black rubber strip along the top edge. Coupled with their high-visibility protective corner covers, they enhance the looks of any vehicle. Steps come with a twelve month on site warranty with the option to extend for a further year subject to an approved servicing schedule. Fitting kits for most popular vehicles are available. 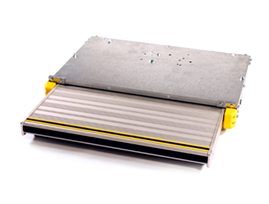 All the steps in this range can be optionally fitted with flashing corner warning LEDs, and ground illumination from under-tread lighting. The more powerful twin-arm models can also be fitted with deploy interrupt. This automatically stops the step deploying should the front edge of the step come into contact with an object.